AS-1 agian changes course, shifts NE ! But seems will brush the Saurashtra coast. 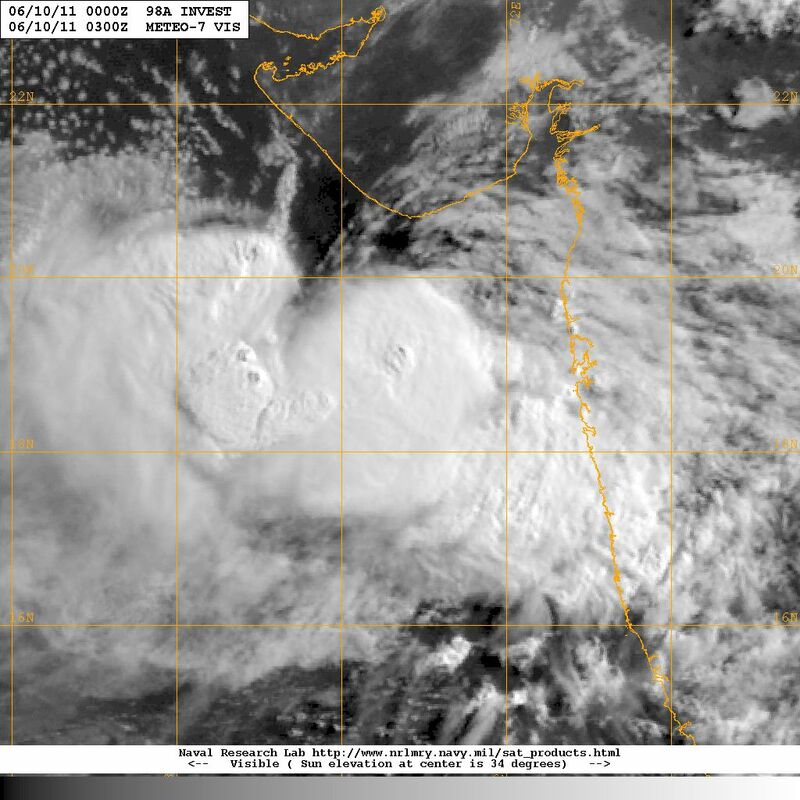 Location 18.6N and 70 E, now about 260 kms West of Mumbai. Sat. imagery shows dense clouding to the West/South-west and SE of the centre. Pressure at 998 mb. I have never seen a tropic system do this kind of dilly-dally. Its keeping everyone one toes. You never know what it is going to do next. Interesting situation. even the parametres go on changing.. The GFS forecasts still show this system taking a WNW route. 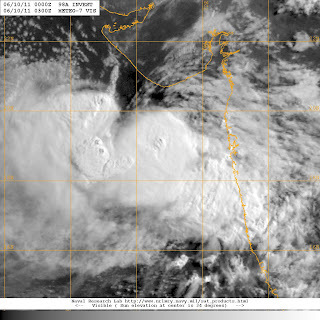 The latest runs show it going North now towards Saurashtra and then tomorrow turning West. Interestingly the UKMET, CMC, NGP and now the Thai Met does not show any system any longer. Till yesterday night the UKMET was showing this system, now they have taken it off. The COLA images also show this system tracking West.